Discussion in 'Transportation' started by TamaraQT, Jan 9, 2019.
for a Premium vehicle if I get a choice of a Cadillac or a Buick LaCrosse. So post your quotes and lets watch for price drops together....READY...SET.... GO !!! I know there is an Alamo there at PP, but is there a National? I don't belong to Cost Co. If I use this code to book, will they ask for a cost co member number when I sign in? Using Costco discount 7015309, Alamo started asking for Costco member number and last name on the card a while back. I'm in! Using BJ's code and free upgrade code- $581.77 for midsize with free upgrade to a standard. No standard aisle, so we'll choose from the full size aisle. August 6-20. Last year we paid $443.39 for 2 weeks. I'll be watching for price drops! August 14th to 27th. Usually prefer Alamo. Too early yet to book but I will be watching carefully. I usually find the best rates 3 to 5 weeks out using costco and insiders. Looks like we are looking for practically the same timeframe..You-8/14 - 8/27 Me-8/16 - 8/31. I prefer Alamo too. I think they are far more cooperative and pleasant than Avis, Budget, Thrifty and Dollar. Enterprise is part of them and not bad either but I never rented directly with Enterprise. I was allowed to choose a car from Enterprise side when I wasn't happy with my choices at Alamo. That's how I found out they were in the same company. Out of curiousity I submitted a quote request. I will post the info/quote when I receive it. We are 8/16 to 8/31. It was way cheaper for us to fly into Tampa the cheapest I have found is 670.00 for a midsize. Still hoping I can get under 500.00 for the two weeks. Unless I want to rent from Fox! Using the bj codes we got a mid size for 720.00 for two weeks still seems high. Hopefully in the end we can get it for 500.00 or so. I haven't yet paid more than $400 for a full size rental for two weeks. Usually it is closer to $350 however in recent years it has not gone below that at Alamo.....at least not for me. My last rental in Orlando was 2 years ago with Budget for a full size 2 weeks for $307. That was booked 11 days before arrival. We had over 500.00 in sky miles so flights for 4 of us were 272.00 with seats and I get free bags. Now if I can get my rental car that would be great. I just tired to use the free upgrade code AU3Z64SDG to check my rates again on Alamo. It is telling me code is not working now. I got a quote to work a few weeks ago. Wondering if it expired. Anyone know or have a new free upgrade code for me? Thanks in advance! We are going August 23 to September 1. hoping to get a good rate for a car. I currently have a couple of car rental reservations going as I watch and wait in the hopes of a better price. 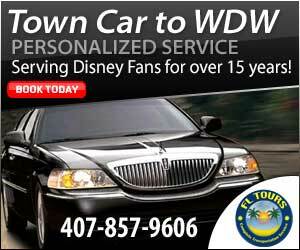 I need a one way rental (arriving MCO 8/12 and dropping near Port Everglades for our cruise 8/17). So far the prices are a bit high $425 (Avis), $442 Alamo, and $530 (Enterprise) but I am checking frequently for any better deals. Try EZ Rent A Car with the discount code EZLiving. We dealt with them last year and had a small problem, so they fixed it up right away for us. Good customer service. Thanks just ran the numbers. I also ran the AutoSlash rec and it found Hertz for about $350 so I booked that. So far that's my best price going.